Holiday lights aren’t the only ones making winter a little brighter. 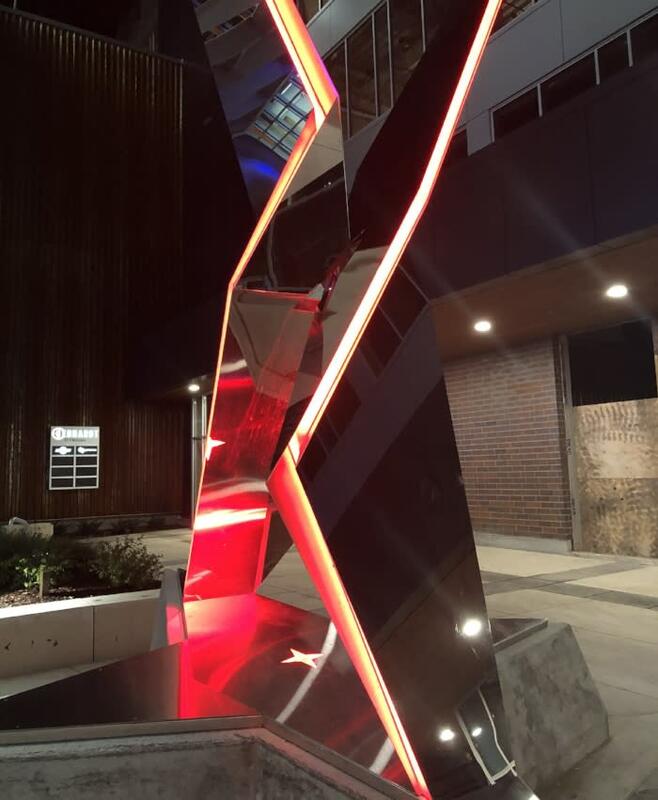 Beautiful pieces of light art are waiting for you all around Madison. Get out and explore our gleaming city. 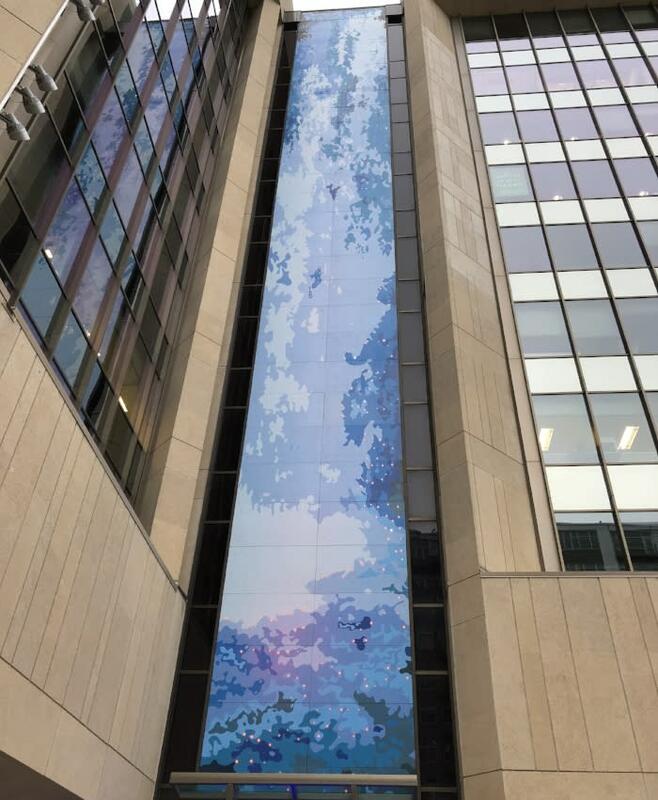 One of Madison’s most well-known light art installations is the Waterfall Mural. This cascading waterfall glows with 500 LED lights and 16 theater lights to give it the appearance of flowing water and stands 120 feet tall. Vibrant red neon lights contrast with stark blue to create a rich conflict of color. 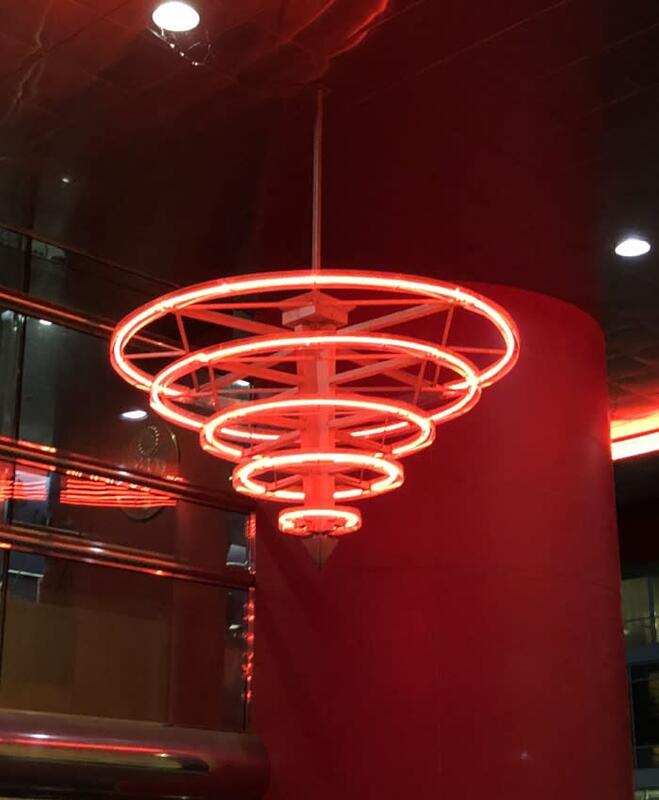 The neon ring and chandelier above the main entrance of Kastenmeier Courthouse has shown brightly since 1987. 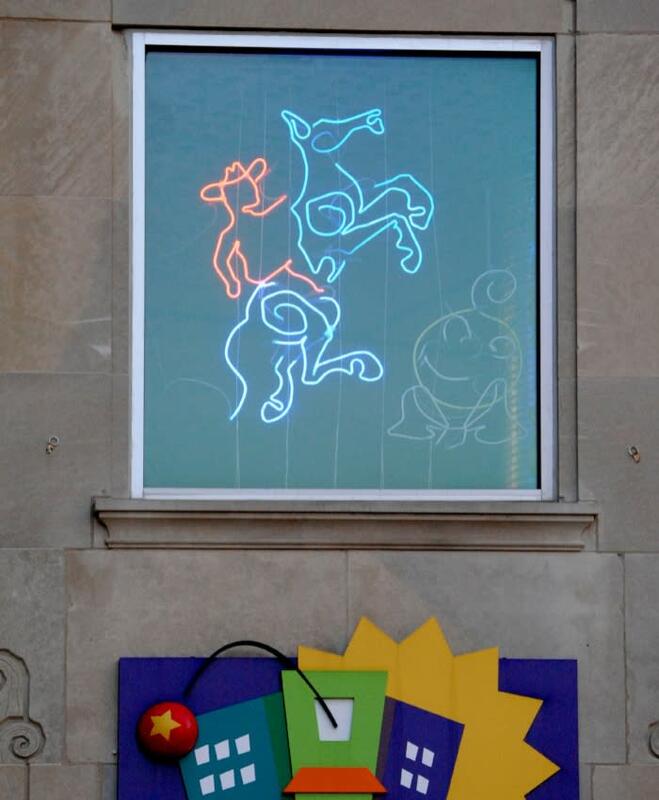 Neon brings children’s art to life each holiday season. Illuminated art shines brightly from the Children’s Museum windows. Each piece was designed by a child at the museum, and created by students from the University of Wisconsin-Madison. 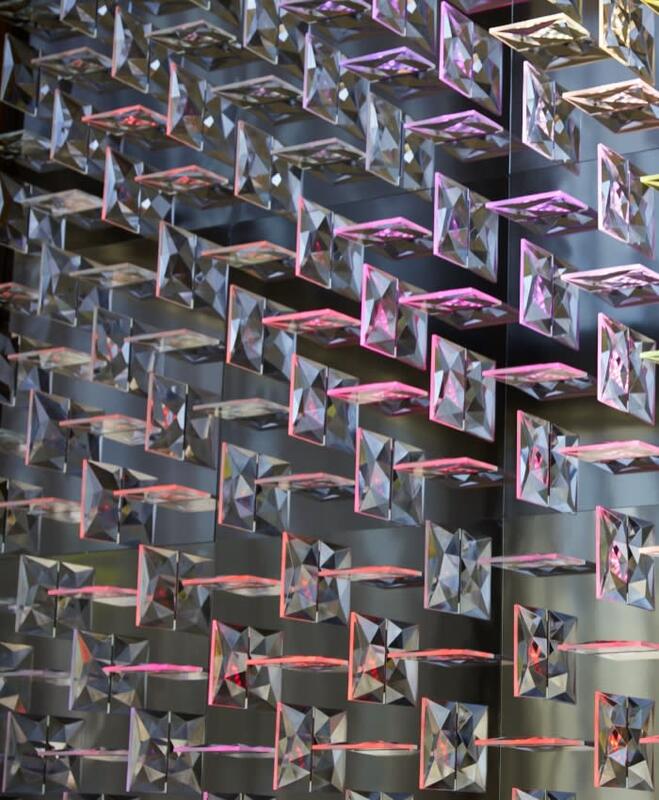 One ton of dazzling crystal fins establish a mesmerizing creation within the lobby of the AC Hotel. Each fin on the Diamond Wall is backlit with LED lights and individually controlled. These shifting fins rotate to create dynamic designs to captivate and delight. Inquisitive character is what libraries are all about. 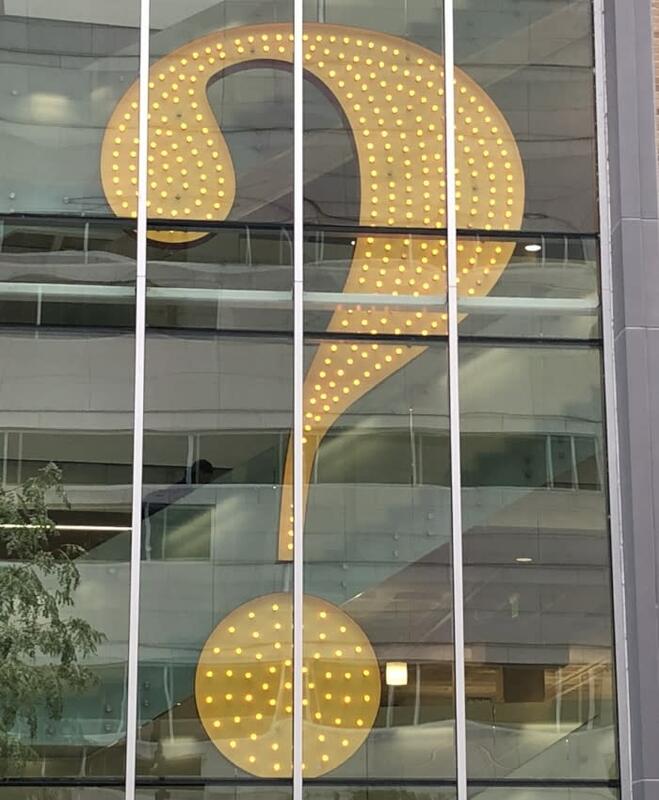 So why not have a massive glowing question mark on the window. Standing 21.5 feet tall and 12 feet wide, the mark is lit all year to welcome knowledge-seekers.